Did you know going green at home can be done by making simple changes? 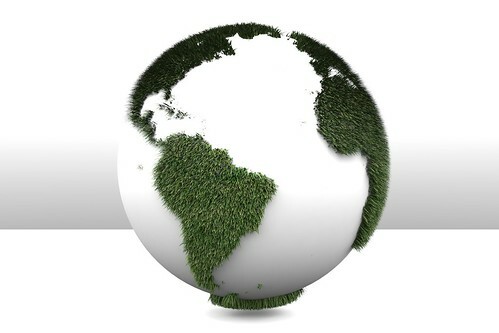 Going green at home can save energy, money, and our planet. Clear The Air would like to share these tips to help you make your home a little more green. Take your shoes off before you enter the house. This can keep all the dirt and chemicals that add up on the bottom of your shoes out of the house. Use compact fluorescent bulbs instead of incandescent light bulbs to save energy in the home. Don’t throw out electronics with the garbage. Recycle them! Shop local farmer’s markets to save on the energy and fuel costs of produce and other products. Fix leaky faucets immediately to save the gallons of water that can be wasted in just a day. Purchase energy-effiecent appliances when it is time to replace your current ones. These appliances have Energy Stars labels and save energy and money. Unplug all LED electronics after you turn them off. These electronics still use power after they are turned off. Eliminate odors in the home naturally with Clear The Air odor eliminates. Our products are not-toxic, non-hazardous, non-caustic, and biodegradable. Solve your odor challenge here.